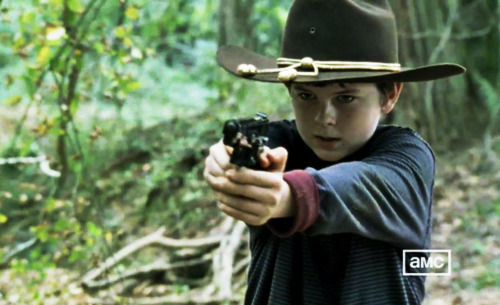 carl with a gun wearing his hat. calr not a little kid any lebih. Wallpaper and background images in the the walking dead club tagged: carl. This the walking dead photo contains jepret hat penuh, snap brim topi, hat kampanye, kampanye topi, pendayung, leghorn, panama, topi panama, pelaut, skimmer, topi jerami, pendayung leghorn, and panama topi. There might also be hat angkuh, bungkuk topi, cavalier topi, topi empulur, empulur helm, matahari helm, topi, empulur topi, helm matahari, and topee.